Bharat Venkat, a new UO assistant professor of anthropology, has received a prestigious American Council of Learned Societies fellowship for 2017-18. The award is for his research on tuberculosis treatments and cures in colonial and postcolonial India. The work draws on colonial and postcolonial histories of medicine, culture, and politics, and historical and ethnographic research on tuberculosis treatment in India. Venkat is a cultural anthropologist interested in science, medicine and technology; history and temporality; ethics; design; and the environment, with a primary area focus in South Asia. Before joining the UO’s College of Arts and Sciences, Venkat held a postdoctoral fellowship at Princeton University in the global health program. 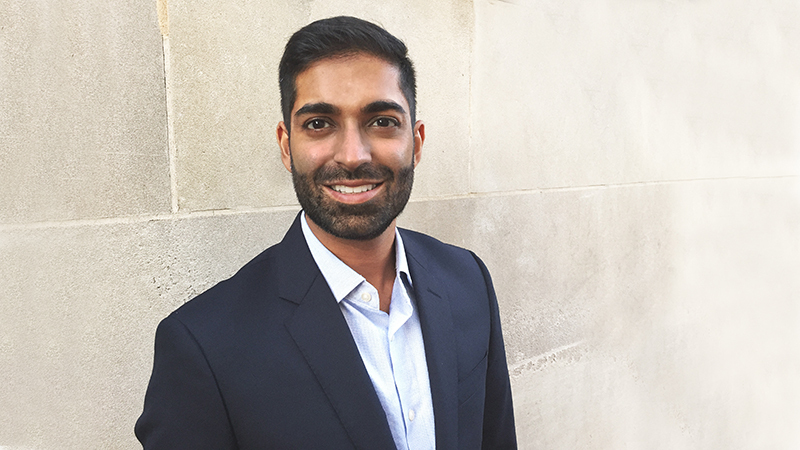 This year, Venkat was also awarded the Hunt fellowship from the Wenner-Gren Foundation. Additionally, his research has received support from the Social Science Research Council, the American Institute for Indian Studies and the Charlotte W. Newcombe Foundation. Venkat received his doctorate from the University of California, Berkeley in 2014. He earned a bachelor’s degree, in 2006, and a master’s degree, in 2007, from Stanford University. The American Council of Learned Societies fellowship program considers research in all disciplines of the humanities and related social sciences. In 2017, 71 applicants received awards out of a pool of 1,200, one of the largest in the history of the program. The fellows represent 50 colleges and universities across diverse humanities disciplines. The intention of the fellowships is act as a salary replacement to help scholars devote six to 12 continuous months to full-time research and writing. Venkat was hired with the assistance of the UO’s Underrepresented Minority Recruitment Program. The program encourages departments to hire underrepresented minority faculty in tenure-related appointments and is designed to increase recruiting flexibility for departments that have already decided to make job offers to top candidates of color.